The history of Stonehenge is shrouded in mystery and the theories to the site's origins and purpose are as numerous as they are fanciful. Many are convinced it was built by aliens! 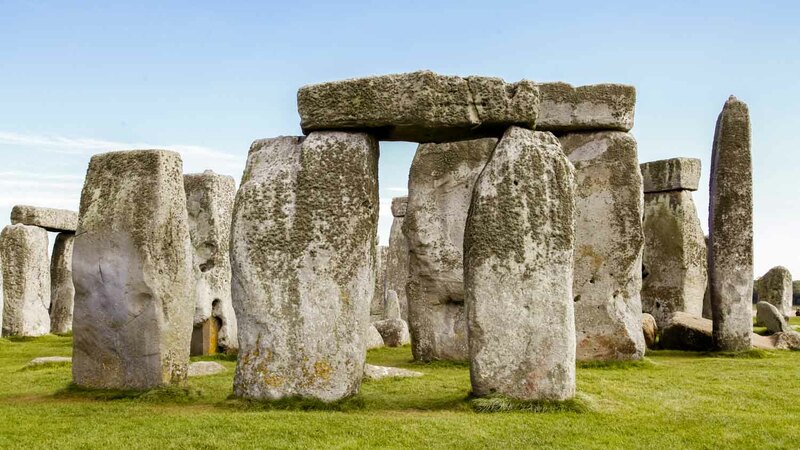 Here are 5 hard facts about the world's most famous prehistoric monument. Stonehenge was built in several stages. Radiocarbon dating estimates that the first constructions occurred over 5000 years ago, several centuries before the Pyramids. Many functions have been attributed to Stonehenge. One that's been confirmed is its use as a prehistoric burial ground – discovered cremated remains date back as far as 3000 B.C. Despite its age, the fact that Stonehenge is aligned with the trajectory of the setting and rising sun gives evidence to a very advanced understanding of mathematics and geometry. The larger stones are up to 9 meters tall and weigh around 20 tons. These were transported over 20 miles. The smaller stones, weighing 3 to 4 tons, were transported over 150 miles! After researching the site in the late 19th century, Charles Darwin concluded that earthworms were the main reason why the Stonehenge stones have sunk into the ground. 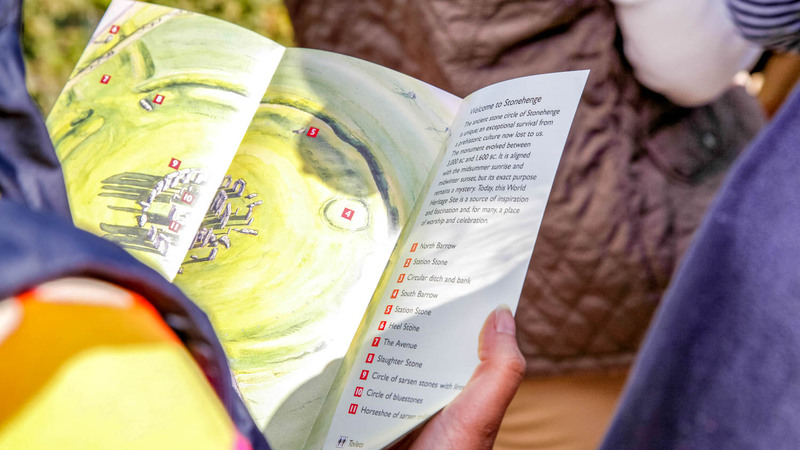 To make the most of your time at Stonehenge and learn all about the history and the many theories surrounding the site, make sure to grab one of the audio guides, which are available for free on site. Or even better, to avoid queuing for the audio guide, you can download it for free online and listen to it on your own portable music device. About 13 kilometers from Stonehenge is Salisbury, a picturesque medieval city with a gorgeous cathedral. Once you've come all this way, it's worth adding a couple of hours to your trip and explore this lovely historic gem. 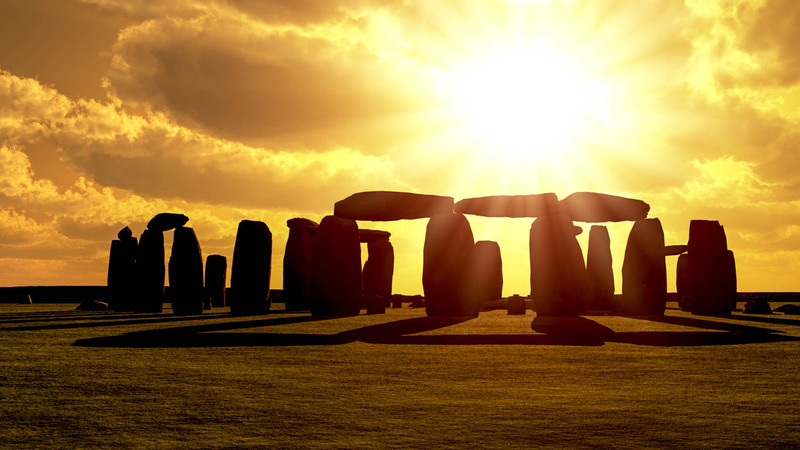 Stonehenge is a magnificent sight at any time of day, but at sunset it's quite simply magical. If you can time your visit accordingly, you won't regret it. 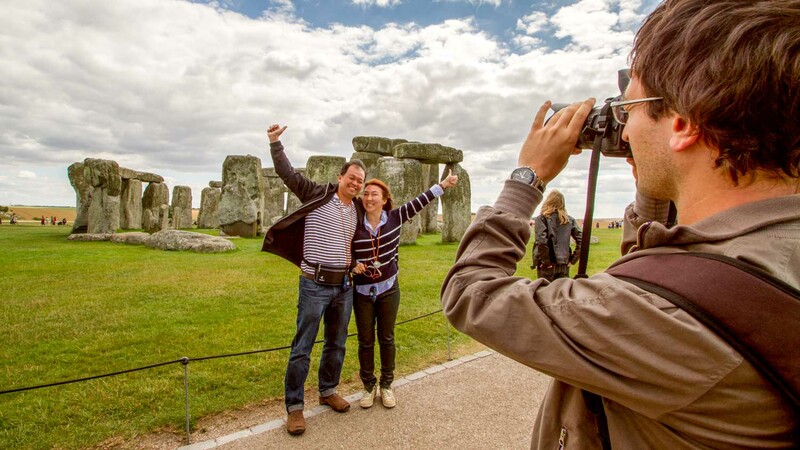 Note that you won't be alone – Stonehenge is very popular at sunset. If a leisurly visit is more important to you, then your best bet is arriving early. The site opens to visitors at 9:30am all year except from June through August, when it opens at 9:00am. 9:30am-19:00. June - August opens at 9:00am. Free audio guides are avaliable on site, or to download in advance. By Car: Off the A360 at Airman's Corner. By Bus: The Stonehenge Tour Bus is the public bus departing from Salisbury rail and bus stations. Last admission is two hours before advertised closing time. 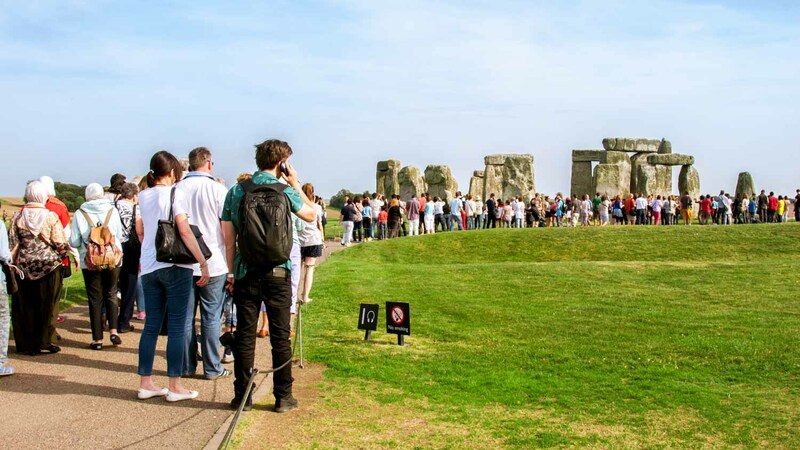 Advance booking is now required as entrance to Stonehenge is managed through timed tickets. Leon was a great tour guide. Carlos was the driver and excellent too! The tour was comfortable and not rushed. We had plenty of time to see the sights and enjoy without rushing around. Leon was informative and funny and the bus ride was also very smooth. I totally recommend this tour.